This has happened beneath the public’s radar. In fact, even as an energy professional aware of our coming choice of electric providers, I had no idea our “choice” had been made for us by the city council. I found out accidentally asking questions of people at city hall. The public at large has not been informed of this change, either by the city or by our lapdog commercial news media. And the city, which is behind it, seems unable to answer questions about how it will work. The change involves municipal enrollment into something the city calls community choice energy (CCE) but which usually is known as community choice aggregation (CCA), since it involves a public non-profit co-op type organization that “aggregates” power from producers to resell for community benefit. One might think something called “community choice” would involve community members making an actual choice, but in our Orwellian times it means elected officials make the choice and make it mandatory absent our opt-out. CCAs, which are sprouting around California, are being touted to cut climate change by providing us with carbon-free electricity. In theory, that sounds good, but as always, the devil’s in the details. Our power will come from Monterey Bay Community Power, a joint-powers agency with 25 employees and a CEO making $330,000 set up by entities in Santa Cruz, San Benito and Monterey counties. They will provide our power, but PG&E will still provide grid, conservation and delivery services, and billing. If you look at the detail on your current bill, you can see what this means. In essence, you’re trading PG&E power for MBCP’s, and the rest of your bill will remain the same. • It “brings local control, freedom of choice and competition into the electricity marketplace.” That sounds wonderful, but what does it mean? Local control? How? Over what? That’s not explained. Freedom of choice – yes, the city council’s choice, not ours. Marketplace competition? That already exists. For years it’s been possible to buy 100% green energy from a third party, or to make your own with solar panels. By the way, the city gives no clue how MBCP will impact solar panel owners with a net-metering arrangement with PG&E. One senses a propagandistic city public relations flak at work here, putting a smiley face feel-good vibe on matters whether truthful or otherwise. Facts would be preferable to assertions. • It “keeps ratepayer revenues within the community, where they can be reinvested in local energy programs and projects.” It would seem ratepayer revenues would go to MBCP, not “the community.” As for local investments, not so much as an example is offered. Again, claims, not substance. • “MBCP is well managed, financially secure.” Here are facts not provided by the city: MBCP served its first commercial customers in March 2018, and began residential service in July 2018. It’s a one-year-old startup! Isn’t it a bit soon to be crowing about financial security? • It provides “lower electricity rates for consumers.” The city pounds on this point. It may, or may not, be true. MBCP proposes to charge the same for its basic power as PG&E charges for its power. In 2018 MBCP gave its customers a 3% rebate at the end of the year, on energy charges only, and SLO makes it sound like this tiny cost-of-a-latte refund is a certainty forever. However, here’s how that actually works: MBCP pledges to rebate any positive difference between its revenues and its costs. That’s no promise of a rebate as costs are not fixed and can be all over the place, even, conceivably, in excess of revenues. There’s something else to understand about SLO’s claim of lower electric rates. Two different types of power will be offered by MBCP: a basic power portfolio that’s carbon neutral (no nukes, however), or a 100% renewable portfolio, offered at a slightly higher cost than PG&E’s energy. So if you want to go 100% renewable – which is a traditional CCA selling point — , you will likely not save compared to PG&E. In our deregulated electricity market, it’s hard to understand why MBCP’s energy costs would differ significantly from PG&E’s. Both entities will be purchasing power from third party electricity generators – possibly from the same generators. Why would the price at which one of these third parties sells its product be lower for MBCP? Neither the city nor MBCP explain. And, remember, the “lower rates” the city touts are only for energy, which is just a portion of our monthly electric bills. Will SLO’s switch to MBCP power have a significant impact on climate change? I doubt it. Energy portfolio mixes are something beyond most of us, but understanding them is essential for clear thinking about electric decarbonization. Of the 34% of total US carbon emissions due to making electricity, about 70% comes from a single fuel source: coal. Coal-fired electricity is the ultimate bad carbon actor. If your utility’s energy portfolio mix contains mainly coal as a source, as is true of some utilities in the midwest and south, power like that offered by MBCP would make a huge difference in reducing carbon emissions. But our PG&E power isn’t like that. It’s coal-free, and it’s already very clean. I know people love to hate PG&E, but the company has done some good things. It is one of the nation’s top investor-owned utilities when it comes to including renewables in its base mix. It’s number one in the quantity of renewables it sells to its customers, and number two, behind San Diego Gas and Electric, in the percentage of its power mix consisting of renewables. Beyond renewables, PG&E power is also very clean – it’s already 78% carbon free, with plans – and a state mandate – to get to 100%. PG&E’s carbon-free power includes the output of Diablo plus hydro and renewables. Diablo will be going away, but PG&E says it can be replaced with renewables, and there’s little technological reason to doubt that. PG&E’s power mix includes natural gas as its only fossil fuel source, providing 20% of its electricity. While burning natural gas does emit carbon, it is clean compared to coal. The comparison is stark: coal is used to make only 27% of US electricity yet emits 70% of the electric sector’s carbon. Gas produces about a third more electricity, 35%, yet emits only 29% of the sector’s carbon, a good bit less than half coal’s contribution for a whole lot more electricity. So in SLO, eliminating PG&E’s small carbon contribution theoretically cuts a small single digit percentage from our global carbon contribution, a percentage made even smaller because thousands of us have gone solar and make some or all of our own electricity. These facts haven’t impeded the on-going hype about a CCA’s “clean electricity” saving the earth. When the CCA issue was heating up several years ago, an out-of-town agitator addressed a local assemblage of CCA advocates, telling them a CCA here would be “the best thing to happen to the environment in this community in a hundred years.” Despite that claim’s breath-taking arrogance, stupidity and insult to local environmental efforts, just last November it was approvingly reprinted in the SLO Sierra Club newspaper. 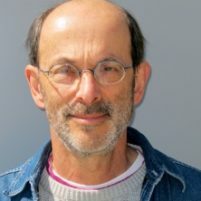 On the city’s CCA website, we are told “The carbon free electricity provided by Monterey Bay Community Power allows us to achieve our 2020 greenhouse gas reduction targets and will be the foundation for our path to carbon neutrality.” If true, all I can add is the city’s carbon target is set dismally low. The city’s venture into CCA energy amounts to nibbling around the edge of some already pretty clean power from PG&E. Far from being revolutionary change, it’s finger food at happy hour prior to the de-carbonization banquet. That wouldn’t be so troubling were it not for the city council’s demagogic hype exaggerating the importance of what’s happening. What is troubling, however, are all the things the city could have done by now to decarbonize, but has refused to do out of institutional blindness and ideological stubbornness. That list is long, and not suited for this article. But suffice it to say, the building glut being promoted by city hall is churning out hundreds of houses and hundreds of apartments this year that will be energy-obsolete next year, when carbon neutral housing design becomes a state requirement – and worse, it appears promotion of this rush to build is explicitly to help builders escape the state requirement. That means masses of new dwellings will constitute an energy albatross around our carbon emissions neck for the next century. I hope the city’s decision to join MBCP turns out well. But however it turns out, those other carbon-powerful things the city could easily have done were huge opportunities lost, sacrificed in favor of making ideologically fashionable moves instead of seriously rethinking what we do with energy and getting our energy ecosystem into better order. Mere change of electricity suppliers accomplishes none of that greater – and essential — task. Google — The Marin Post, MCE — to get comprehensive background on what is behind CCA (CCE). Middle men selling me pure ideology. This is progress? It better not cost me more because good vibes don’t pay the bills. Good sleuthing, Richard. I wouldn’t have known about this otherwise.